Putt Maker Putting Discs from Bent Grass Concepts is a putting practice training device. Putt Maker Putting Discs are like movable golf holes or portable putting targets that fit easily in your golf bag. The discs are designed for use on the practice green, but they can also be used at home or in the office for visual feedback, so you will know when you made the perfect putt. Each drill is short enough to practice before you head to the first tee, but thorough enough to give you plenty of practice. We recommend using 3 distances that you want to work on most. Putt Maker will test your putting skill to determine how the ball rolled at the ideal speed for sinking a putt. (This is also essential to getting the best sound out of the disc.) Nick Faldo, in Travel + Leisure Golf magazine, wrote that when putting, he imagines “the ball rolling over the cup, as if on a bridge, to finish 18 inches or so on the other side…” to correct the flaw of leaving putts short of the hole. We know that you will enjoy the Putt Maker Putting Discs. But better yet, you will enjoy becoming a better putter and watching your handicap drop. 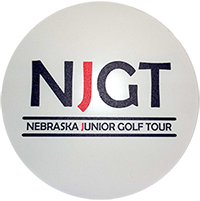 Putt Maker Putting Discs can be customized for your organization or event. 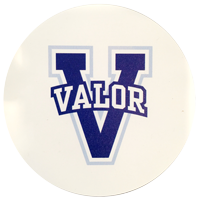 New printing capabilities now allow us to print in low quantities in up to 4 colors at low cost. Click to see our pricing chart.